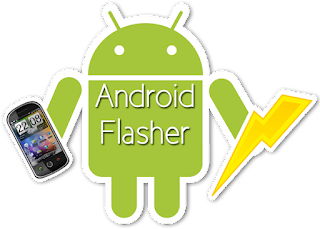 Universal easy flasher for Android is going to free download from this landing page. The version 2.2.0.5 is recently released by officials for mobile phones. You can uses this tool with any box directly on any PC windows OS. You can download this software used to flashing of android devices and tablets. Download its full setup exe from the given link location at the bottom of this post with all key features on the go. This AIO universal flashing program is developed in 2015 now it comes up with the new version which is above mentioned and free to get for personal use only. It is completely safe secure and ready to download just in a single click from the makers Android group. Android platforms offers open sources and widely ranged opportunities so everyone can manage or develop applications on their own way. Read external and internal memory. Read and Reset pattern locks. Clear data via factory reset or we can say Hard reset. Enable ADB and fast-boot, Integrated with ODB shell. Build an offline Prop editor. Take screen shots for your favorite scenes. Get full and secure backup/restore. A13 tablets can be rooted. Memory TAB and Music TABs as well. Now a day's Android flashing/Rooting is much important and it becomes basic need for all users, Rather than this you are not allowed to install more apps, while some of its features can be hidden showing up an compatibility error. So to avoid such concerns you must have Android flasher. Here we come with a universal product for all kind of Android OS version device.